It's been a slightly troubled week for virtual reality, with the Oculus/Zenimax case reaching a verdict: Oculus was told it must pay half a billion to Zenimax, as the jury ruled that Oculus co-founder Palmer Luckey had broken a non-disclosure agreement relating to the Rift technology. The company wasn't found guilty of illegitimately obtaining trade secrets, but nonetheless the ruling is another blemish the Oculus story. Oculus told us in a statement it was looking forward to putting the case behind it, but there remains the possibility that Zenimax will seek an injunction against Rift sales. Oculus may also appeal. In more positive news, Nintendo may be about to get in the VR game, with President Tatsumi Kimishima revealing the company is exploring the technology with the Switch. We also popped along to NYC's VR Jubilee to see the weird and wonderful innovations being cooked up right now. But what else has happened, you ask? Let's take a look. John Carmack, who has been at the center of the Oculus-Zenimax controversy, went on a bit of a Facebook rant after the judgement was passed. Of the half-billion dollars, $50 million was awarded for copyright infringement, which specifically concerns the code that Carmack used on the Oculus Rift - the code Zenimax claimed was copied from its own. Carmack said he "disagreed with their characterization, misdirection, and selective omissions" and insisted that he didn't try to wipe any evidence. He took umbrage with the way lawyers had interpreted "non-literal copying" of the source code. 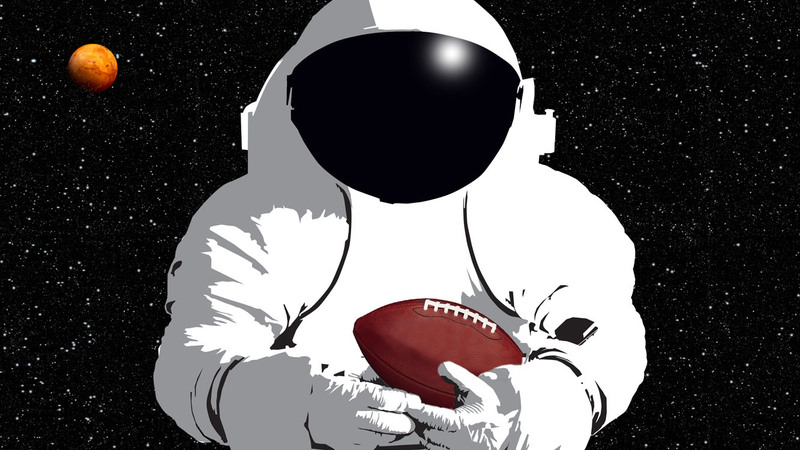 If you happen to be heading to Houston's Super Bowl Live festival this week, you may get a chance to take a quick trip to Mars. In VR, that is: Nasa will be there with a special VR ride called Future Flight, for which you'll don a headset and be raised up well above the ground in a simulated flight to Mars. Then, you'll be put into a 90-foot free-fall, as if you were actually plummeting back down to Earth. Not one for the faint hearted. Wesley Snipes is the latest Hollywood star to get involved with VR, with a ten-minute spinoff for his upcoming movie The Recall. The VR short will be titled The Recall VR Abduction and take place from a character played by R.J. Mitte, who will also star in the main movie. No word on when we'll see it, or on what platforms, but colour us intrigued. VR can be a great escape from the troubling realities of the world - and that includes physical pain. Samsung is testing out its VR in hospitals with the purpose of helping patients distract themselves from chronic pain. It's teamed with startup AppliedVR, which is providing the library of games and relaxing landscapes. "Clinical findings from Cedars-Sinai and AppliedVR have shown that VR results in a 25% reduction in pain, in many cases obviating the need for narcotics, and a 60% reduction in stress and anxiety," said Samsung's chief medical officer, Dr. David Rhew. Head over to MedCity News for more details. If you're watching the Super Bowl this weekend, Fox Sports will be showcasing highlights through its VR Sport VR app. There will be about four highlights to try out each quarter on your Gear VR or Cardboard, but sadly you'll just be watching them from your 'VR suite', so it won't be as exciting as being field-side. You'll also need to be a Fox subscriber to use it. But hey, it could be neat.